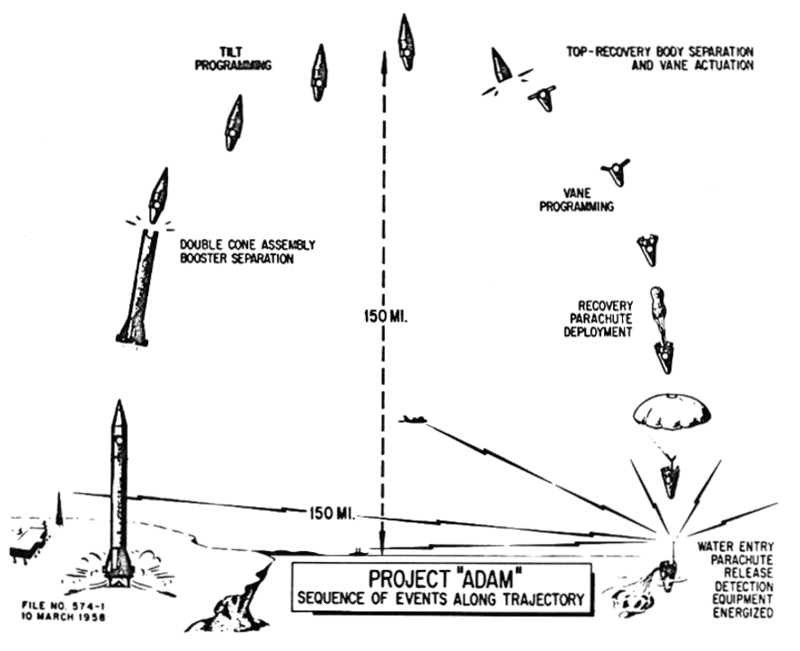 The Mercury-like mission profile of Project Adam. Originally based on the cramped Project Manhigh capsule, by the time of this proposal the astronaut’s pressurized area was even smaller. Public domain image. Click for larger view. What it was: The Army Ballistic Missile Agency’s attempt to capitalize on their successful riposte to Sputnik, Explorer 1, after the embarrassment of Vanguard TV3. Having lost the laurel of “first satellite” in frustrating fashion, Wernher von Braun‘s group quickly suggested a manned suborbital program, building on the US Air Force’s Project Manhigh, to try and take the prize for “first man in space” as quickly as possible. Description: By the mid-1950s the USAF had got down to business of studying the effect of extremely high altitudes on pilots. One of the programs they ran was Project Manhigh, which lifted a pilot to 30 kilometers high twice in the months immediately preceding the launch of Sputnik 1. Manhigh crammed a human being into a pressurized aluminum gondola weighing just 598 pounds (not including ballast), or 271 kilograms. The pill-shaped craft was 8 feet tall and 3 feet wide, or 244 cm × 91 cm, and that’s the first time I’ve had to use that unit in describing a crew compartment. Unsurprisingly, it housed one, though on the second flight it housed him for a remarkable 32 hours. 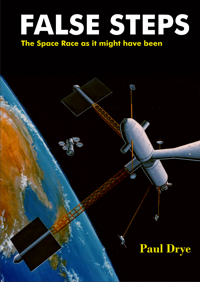 However, in the scramble that followed the unexpected dawn of the Space Age, the Manhigh gondola was a resource, and it was one that the ABMA latched on to, firing off a proposal in January of 1958, a few weeks before their modified Jupiter-C put the USA’s first satellite into orbit. Major David Simons in one of the original Manhigh gondolas. Apart from a thin aluminum shell, that was it in its entirety. Image from LIFE magazine, September 2, 1957. Click for a larger view. Not even the 1950s military was quite prepared to fire a naked Manhigh gondola to space—they were usually lifted and returned gently by balloon, with only a shock absorber needed for the landing. So the question was what needed to be done to bridge the gap between its original capabilities and a minimal craft that could withstand a swift trip above the atmosphere. Von Braun’s proposal gave one possible answer. First named Man Very High, the initial proposal was for the Army to supply a modified Redstone based on the Jupiter-C used to launch Explorer 1 and an exterior shell using the principles of the Jupiter’s nose cone to handle the heat of flight and re-entry. 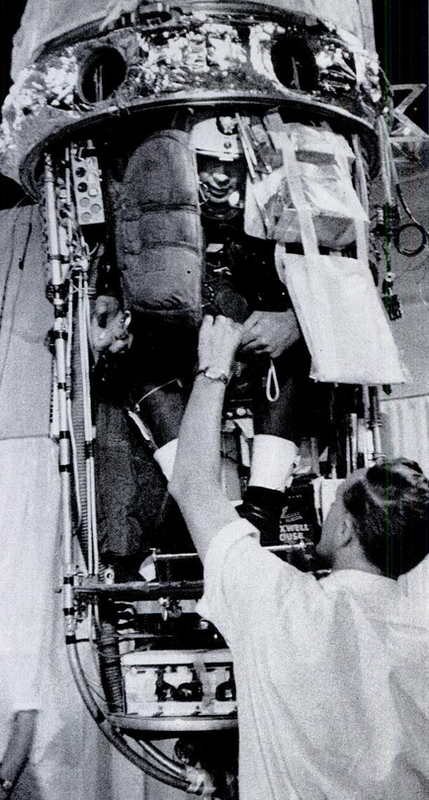 The Air Force would supply a passenger cabin derived from the Manhigh capsule, and the Navy would handle recovery procedures. 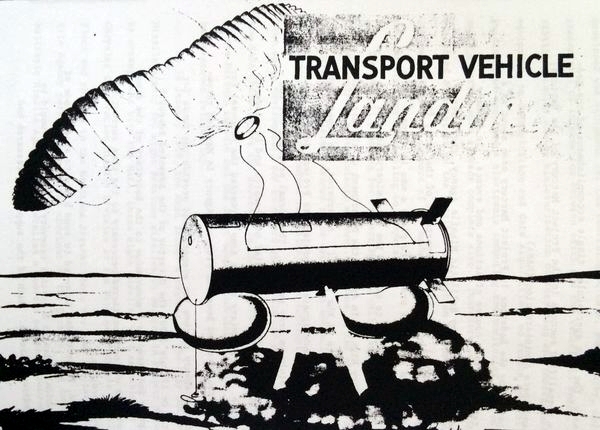 As part of this von Braun invited Manhigh fliers Joseph Kittinger and David Simons to Huntsville to see about adapting a Manhigh gondola for even greater altitude. The Air Force as a whole was uninterested, though, so by March 1958 the ABMA rebranded Man Very High to Project Adam (a biblical reference, not a Frankenstein riff), and made it a joint Army/Navy project. Now the Army handled everything to do with the rocket and spacecraft, with the Navy continuing to be relegated to recovery and the USAF doing nothing at all. This they then submitted to ARPA the next month, this being the newly formed agency devoted to the military and civilian use of new technology and the unspoken mandate “Don’t let the Russians surprise us again”. This ultimate version of Adam used two nose-cone derivatives arranged base-to-base. The upper cone would occupy the usual position of a Redstone missile’s tip, while the lower cone would be embedded tip-down in the body of the missile. This lower cone would house the astronaut and the various life-support and guidance equipment he would need. In particular, a Manhigh-like capsule would be rigidly installed horizontally, at the cone’s widest point, and the pilot would be loaded in from the gantry tower on a sliding wheeled sled before the cap sealed him in. This horizontal arrangement strongly implies that the capsule would have been even smaller than the Manhigh gondola, as the Jupiter-C was not quite 70 inches in diameter (177 cm), and no sketch of the Adam perched on top of its launcher shows a bulge near the top of the rocket. On the other hand, another diagram showing only the lower cone has its base clearly larger than this, and a third schematic of the crewed interior shows the pilot at a slight angle, feet downward. Make of that what you will. Getting onboard the Project Adam capsule. Public domain image. In any case, with the pilot bolted into place more than seated, the Jupiter-C would be lit and our astronaut would be underway on his journey. After reaching the end of the rocket’s burn time, the double-cone craft would be cut loose, sail past apogee at 150 miles (240 km), the cut loose the upper cone as superfluous. The lower cone containing its crewman would re-enter, with deployable vanes supplying some steering, to water-land under a parachute. Much like the first two Mercury flights he wouldn’t be going too far or for too long: six minutes of burn time, ten of free-fall, and a symmetrical 150 miles downrange to a splashdown to the north of the Caribbean Sea. Total price tag was claimed to be US$4.75 million (down from about US$12 million for the earlier, USAF-using version), with the flight to take place before the end of 1959. What happened to make it fail: When first proposed, it was subjected to some rough handling by NASA’s predecessor, NACA, which was then working on the X-15 program with the Air Force, and the USAF itself, which was working on their Man Into Space Soonest project. Ironically enough, considering how Project Mercury flew its first couple of times, NACA head Hugh Dryden pooh-poohed it by comparing it to a circus’s Human Cannonball act. Dryden did have a point. Though the Army dressed up Adam as leading to troop drops from space, the hybrid Adam capsule-craft had no development potential. Conversely, once NASA absorbed Man In Space Soonest and Max Faget sketched out the Mercury capsule, they were on their way to something that could go into orbit on top of the Air Force’s pending Atlas and Titan boosters. That would lead the way to Apollo in the long run (Gemini not being even a twinkle in anyone’s eye at that point). Meanwhile, while the Army had boosters in development to match the two Air Force rockets they were much further behind. With all of NACA’s relevant people now heading NASA, and with NASA given a strong mandate to run the space program, von Braun’s group and the Army were frozen out until such time as the Redstone Arsenal was handed off to the new agency too, to become Marshall Space Flight Center. By then it was July of 1960, and Adam was long sidelined in favor of Mercury. What was necessary for it to succeed: In the event, the key part of Adam—using a Redstone missile derivative to lob a capsule of some sort on a suborbital trajectory—was quickly absorbed into Mercury, and Americans #1 and #2 into space flew Adam-like missions downrange from Cape Canaveral to the Atlantic northeast of the Bahamas. So that part of the mission presents no real problems. As for the capsule…Adam was proposed in a short section of time where everything about the United States in space was in flux. It’s largely forgotten now that NASA was actually the second agency set up in response to the USSR’s public relations coup, and that from February to the end of July in 1958 the responsible party was ARPA (modern-day DARPA). ARPA’s leaders were definitely interested in becoming something like NASA when it came to space: when NASA was formed, ARPA’s director, Roy Johnson, resigned in protest. Fitting the project through this window of February to July ’58 would mean the USAF-less Project Adam would have had to be the proposal out of the gate, rather than ABMA trying to get the Air Force to develop the capsule as they did early on. As it was, the opposition from the Air Force and NACA meant that the ultimate Project Adam came too late to have a chance to move forward. It’s actually a bit surprising that von Braun didn’t get his chance here—it’s hard to overestimate the prestige he had in the United States immediately following Explorer 1. Certainly his instinct that the Space Age was as much about the USSR and US showing each other up as it was about research was correct, despite the pushback on this from Dryden and crew. As it was, Project Mercury won out and, notoriously just missing out on the first that Project Adam looked to accomplish: the USSR launched Yuri Gagarin on the first flight into space on April 12, 1961. The United States followed with Alan Shepard just five weeks later. Von Braun: Dreamer of Space, Engineer of War, Michael Neufeld. “First Up?”, Tony Reichardt. Air & Space Magazine, Sep. 2000. “How the U.S. Almost Beat the Soviets to the First Man in Space“, Ron Miller. Gizmodo, April 17, 2014. A model of the OOS shuttle, believed to be from a Russian magazine in the 1990s. If you have more information about this picture, please contact the author. During the 80s the USSR’s space program stayed remarkably focused on Energia/Buran and the Mir space station, especially when compared to the infighting that marred the years 1966-1975. It fended off or adapted to a number of distractions, whether it was Vladimir Chelomei‘s repeated attempts to regain his previous, short-lived position on top of it, or airplane design bureaus suggesting anything from conservative alternatives to the recently discussed Myasishchev M-19 nuclear scram/ramjet. 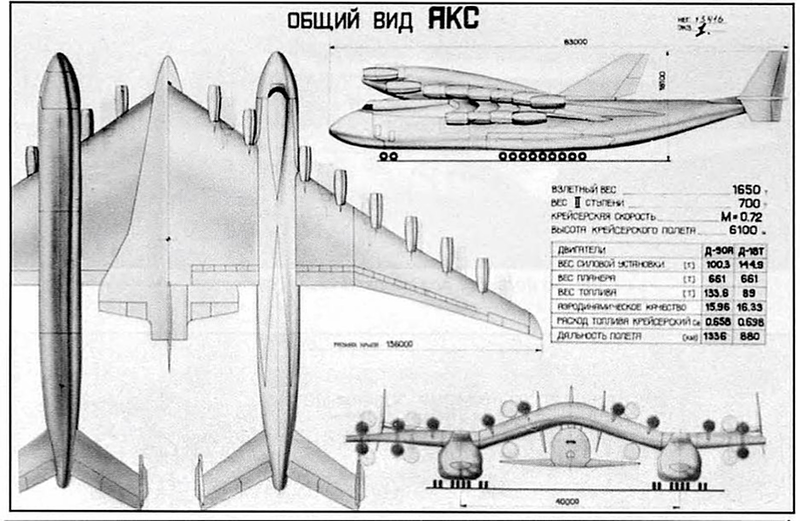 The OOS was a late Soviet-era shuttle proposal from the Tupolev bureau, an also-ran in that country’s space business despite a strong position in civil aviation and strategic bomber development. 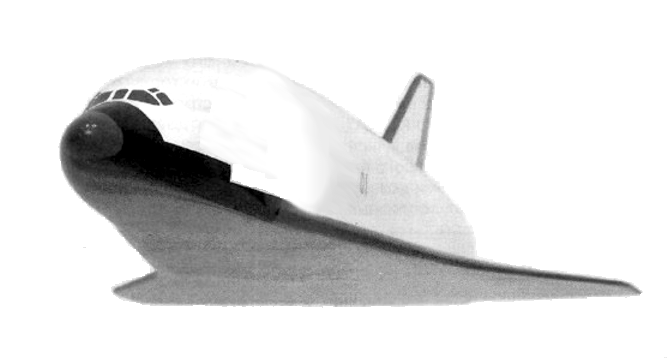 Proposed as a fully reusable replacement for Buran sometime around the year 2000, it was about the same size as that craft or the American Space Shuttle, though somewhat heavier at 100 tonnes when fuelled. With a crew of two cosmonauts. it had a payload of 10 tonnes to and from low-Earth orbit. If you’re a long-time reader of this blog, or just sufficiently into spacecraft, you probably slotted the shuttle pictured above toward the conservative end of that spectrum. Apart from the more-rounded contours, it looks to be much like the Shuttle, particularly in the shape of the underside. There, too, we have the usual ceramic tiles for dissipating the heat of re-entry. The engines are not visible, but I can tell you that there were three, burning LH2 and LOX during the ascent to orbit (though, curiously, switching out the hydrogen with kerosene for orbital maneuvers). Knowing that would likely not change your opinion at all. Given that it’s was to be fully reusable, the ten-tonne payload mentioned earlier may have got you wondering, though. The actual American and Soviet shuttles had payloads in the 25-30 tonne range, so alright—there’s clearly some sort of tradeoff there. You’d be well-advised to wonder about the rest of the OOS’s configuration. Side boosters but no external tank? Perched on a reusable rocket in some manner, maybe? Well, no. “OOS” stood for Odnostupenchati Orbitalni Samolyot, ‘one-stage orbital plane’, But a single-stage-to-orbit craft the size of the Orbiter? Surely that’s not possible. Aerospace aficionados will remember that the An-225, which was used to piggy-back the Buran shuttle around the Soviet Union, was by most measures the largest aircraft ever built. This is two of them, one wing apiece removed and replaced with a sort of aerodynamic bridge, and then 675 tonnes of spacecraft and rocket propellants attached to its underside. It had twelve turbojet engines for when it flew without the orbiter attached (the dark circles in the diagram above, at lower right), with a supplementary ten more being added during launch operations (the white circles). The Aristocrats! With a length of 83 meters (272 feet), a wheelbase of 40m (131 feet) and a wingspan of 153m (502 feet), the combination came in at a whopping 1650 tonnes. By contrast, a fully fueled late-model 747 has a maximum takeoff weight of just under 440 tonnes. There has been only one successful air-launching system in the world to date, Orbital ATK’s Pegasus. It weighs 23.1 tonnes and can put 0.44 tonnes in orbit; it’s launched from a Lockheed L-1011, already getting into the neighborhood of large airplanes. So start with some skepticism that 20 times this in launch mass and payload are a possibility for the late-era USSR. Further, I haven’t (unfortunately) been able to find a detailed description of the AKS/OOS’s mission profile. I’d like to see it because I’m having a hard time picturing what the moment of separation would look like. Or rather, I have an image of the support crew aboard the AKS bouncing around like ping-pong balls in a boxcar once the plane, straining to get the orbiter to altitude, suddenly cuts loose 675 tonnes. For that matter, the OOS would have to light its engines pretty quickly thereafter or defeat the purpose of an air launch. As these were in the same class as the RS-25’s on the American Shuttle—the noise aboard the AKS, now presumably not all that far above and behind it, would have been intense. I’m on record for my begrudging appreciation of the come-what-may technological megalomania that gripped the superpowers post-WWII. The US grew out that uncritical mindset after Love Canal and Three Mile Island, while the Soviets carried on until 1989. That extra time coupled with fossilized technocrats in charge allowed awe-inspiring audacity in technology of it to grow even greater than it did in the West. Even so, I can’t imagine anyone with the power to make the Tu-OOS happen actually doing so. It would have been an immensely expensive and difficult project right at a time when the Soviet Union was in no position to take one up, and technological limitations would have prevented anything like it at an earlier point in that country’s history. The OOS/AKS was a paper project, and would have remained so. Artist Vadim Lukashevich has numerous renders of the AKS/OOS combination on Buran.ru (screll down to the second half of the page). Readers will note a lack of primary sources here. I’m convinced of this project’s existence, but any pointers to a source that’s a little more direct than what I’ve relied upon here would be most welcome. All for the low price of US$1.99, with a free preview available at Smashwords and iTunes too!